Does how you appear on the outside influence who you are on the inside? Do you judge yourself based on your looks? Do others do something similar? The human race is image conscious and fairly aware of being that way, perhaps because we rely on our senses for survival and our eyes give us a lot of information which we use to determine the safety or danger of our immediate environment. Of course we use our eyes in other ways too. Creatively, destructively, absentmindedly, and with focus. Sometimes our ocular focus can be very narrow and at other times it widens and takes everything in. Colour in particular is an optic experience. One which sometimes soothes and sometimes warns. Red is a colour often used by nature as a warning. This creature is poisonous so don’t approach it, mess with it, lick it, eat it, etc. 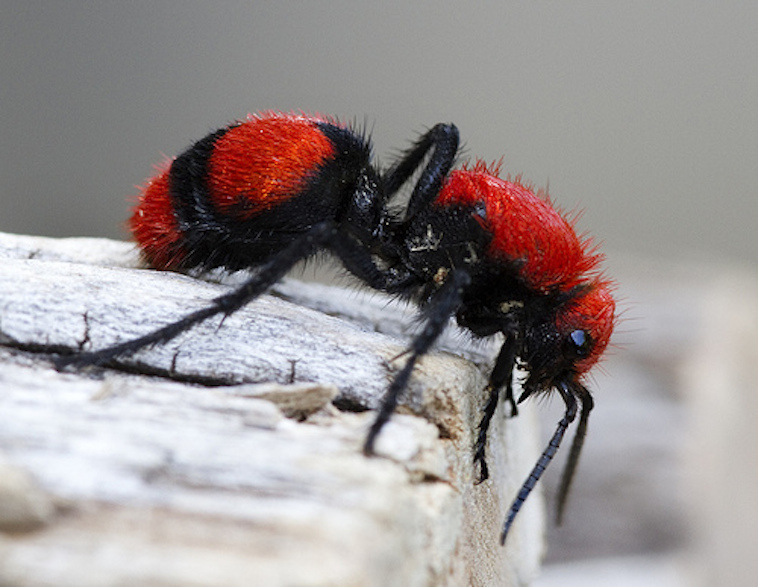 Occasionally vulnerable and non-toxic or dangerous creatures will adopt the colour mimicking those who are dangerous and toxic to frighten predators off. So it kind of makes sense that red hair may cause those who do not have the colour to view those who do have it as being dangerous. 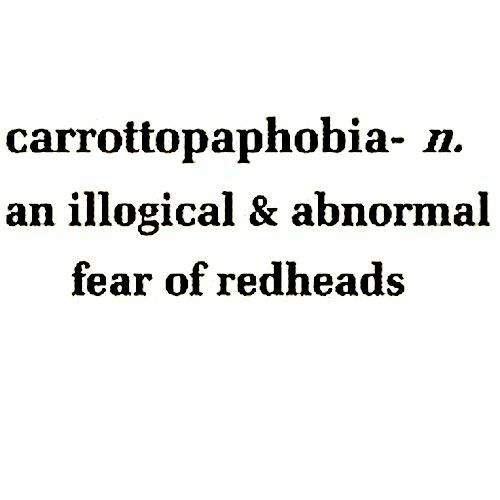 And it would explain, to a degree, the illogical ginger-phobia which seems to affect certain people. 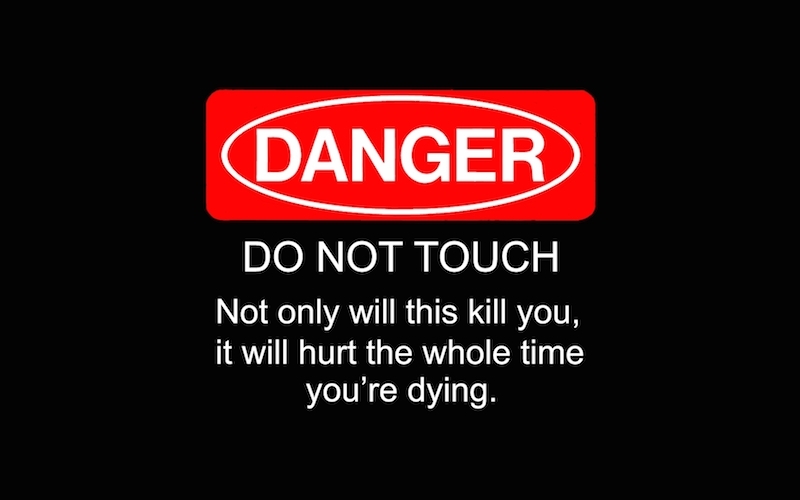 It’s akin to arachnophobia in some ways. Some people just find spiders creepy and that is that. 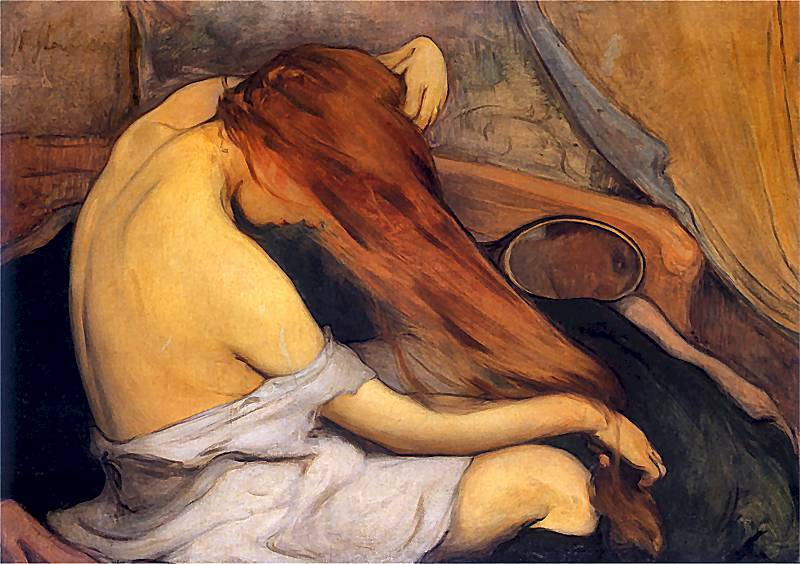 Some people find redheads creepy too, and their phobia may inspire them to behave in very strange ways. Some years ago a ginger-phobic person decided to start a kick-a-ginger day, which got quite a large following and lead to some horrible incidents. 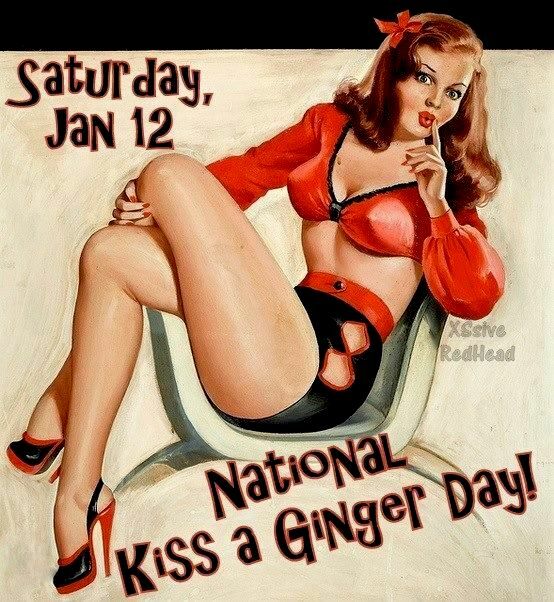 In reaction to this another person decided to start a pacifist revolution, and today has become Kiss-a-Ginger day, eclipsing the influence and effects of the ginger-phobic person’s actions. I’m a natural red-head, and I appreciate the ginger-loving, but don’t come up to me and kiss me just because of the colour of my hair. A smile will do. The colour of my hair is just that. The few times people have tried to single me out because of my hair colour, for whatever reason, be it because they thought it was a good idea to tease me or because they had a ‘thing’ for redheads, has ended up disappointingly for them. It is just the colour of my hair and is not what you should be focusing upon about me. Don’t tempt me to skewer you with the stereotype you’re using to prod me, I might enjoy it a little bit too much. The colour of our hair can be easily changed, in fact it is probably the easiest part of our physical selves which we can change, and when we do it can sometimes change who we are quite dramatically. With one hair cut, one flick of the scissors, a perm, a straightening, a dye job, extensions, one alteration… and hey presto we’re someone else. Maybe we’re more on the outside who we are on the inside, or maybe we’re… masking the inside with the outside. Sometimes it’s fun to explore in that kind of way. It’s kind of funny but red hair is one of those dyes which suits almost everyone. It does depend on the shade and how well it works with your skin tone. I tried going blonde once. For any real redheads out there who haven’t tried this – your red goes pink when you bleach it. It didn’t work well for me to go blonde as I’m covered in freckles and those freckles make me olive-skinned, sort of, which can look weird with pale hair. It did with me. I looked better when I went dark. But then again I also have brown eyes, rather than the pale eyes expected of redheads, so going darker suited. But none of my forays into alternate hair colours suit me as much as my natural shade of red. It suits my inner self. And frankly if the colour of my hair warns people of a delicate nature, those who are easily freaked out, skittish, prone to being judgmental based on such a superficial aspect, off, it’s probably doing its natural job. I appreciate that. Sometimes nature, our nature outside working with our nature inside, is our best survival skill and friend. Wow. I have imagined you as so many things., All fabulous of course, but NEVER a ginger. Yep, I’m a ginger, a dark one. I doubt if I would have pegged myself as having that colour of hair either. Not sure how I would see myself physically if I didn’t know what I looked like… hmmmm…?